What could you learn from an art biz coach? If you're anything like me, a lot! 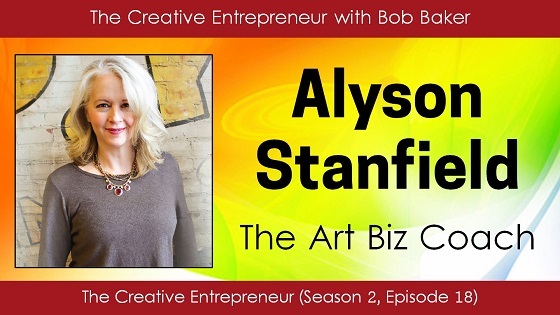 Alyson Stanfield helps ambitious visual artists build their businesses. She brings to the table a varied background that includes politics, museum curation, and art sales. In this interview we discuss the power of ambition, the lost art of thank-you notes, and the unique differences between art galleries and museums. You'll also learn about the one thing you should never outsource and the powerful reason Alyson is compelled to help artists. Hit play and start listening now! 1) Listen now using the streaming audio player above. I had such a great time talking with you, Bob. Thank you for sharing your gift with artists everywhere.